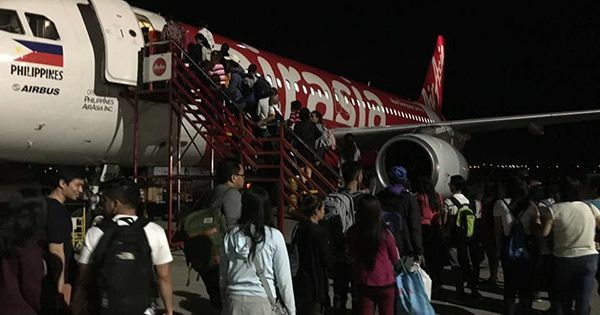 Radio anchor and review center big boss Carl Balita on Saturday slammed low-cost airline AirAsia over poor customer service and flight delay. The businessman attended Cebu's biggest and first-ever Social Entrepreneurship Conference held at Cebu City Marriott Hotel last June 23 and 24. AirAsia was one of the sponsors of the event organized by the Cebu Chamber of Commerce and Industry. What is worse than the worst Cebu Pacific? AirAsia! 4 hours delayed, poor customer service, pathetic staff! Economy is not cheap! It is suffering! AirAsia was sponsor of the Social Entrep Conference of the Cebu Chamber of Commerce and Industry and i have to understand why i have to take this flight. This is just too much for all of us to bear! We had to walk and ride an ugly bus to the unsystematized boarding process that made everybody queue like refugees...I WILL NEVER TAKE THIS AIRLINE AGAIN, unless i have NO CHOICE! WHY IS TRAVELLING (land and air) in the Philippines a kind of SUFFERING? And all they can say is "we apologize for blah blah blah." Balita's post has 196 likes and reactions as of 7 a.m. Sunday but is expected to go viral within the day. AirAsia management has yet to give a word about the issue.